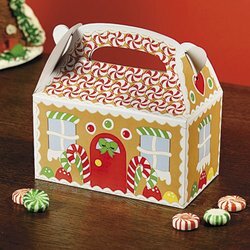 Cardboard Gingerbread House Treat Boxes. 6" Simple assembly required. Accessories not included.